Once upon a time there was such a dream called "classless society" where all people are truly equal. It never entirely came true because of many reasons. Here I am not to give a boring lecture on sociology. But shortly, classifying makes controlling easier. You classify dishes, clothes, regions, areas, streets, military forces, academics, businesses and science. It is easier to set rules, policies, opportunities when you classify a society. And classlessNess prevents to create a classy society. Like in London. 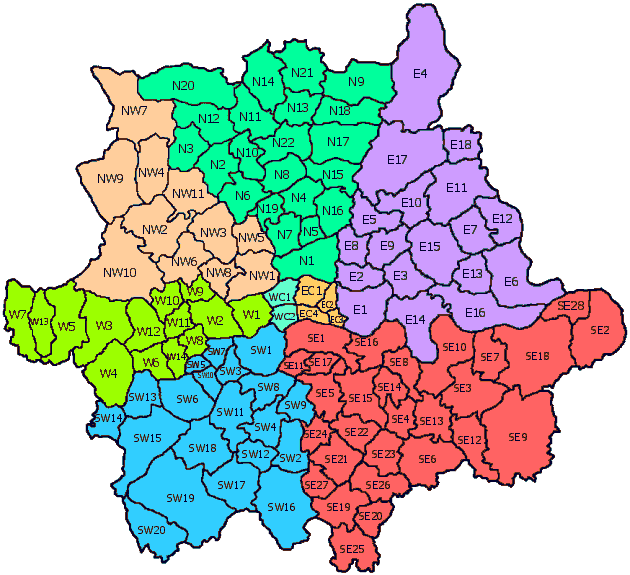 SE 16 - South East: You have an entry level job and poor digit salary. You prefer using bus pass. Your neighbours are some black families with cute kids. SW 4 - South West: You like edgy night life and you've got more gay friends than straights. You've just been to a music festival last month. You live in London for over 5 years now. Still you get 2-digit salary. E8 - East: Rundown buildings cost a fortune in the name of being "trendy". There is a high turn over in your neighbouring flat. They advertise their shared flat like this: "we are looking for a young professional. We like our privacy but we also enjoy a glass of red wine after a working day in the living room"
N4 - North: You feel quite uncomfortable after a late night out on the way home. You can hear 10 different languages on the streets. Hmmm.. nice kebab shops around. You know what? You are either an immigrant or an immigrant! W8 - West: Well...if you happen to live there you wouldn't read this blog! you enjoy dancing in the same clubs as Prince Harry. so neexxt! W5 - West: You have a decent job. You save money, go holidays 3 times a year. You take the tube on weekdays and drive outside London on weekends. You enjoy a bit quieter life. You're still single though. NW3 - You have either a family that one of your kid is taking a gap year this year or have a degree and luck and been living in London for over 10 years now. 3-digit salary but no one knows how many asses you licked though.